Writing an essay can be a scary task for students who do not feel confident in their writing skills. It is also hard for shy students to ask for clarification in class, so what does a student have to do? You can always turn to one of websites that offer you to write a paper, but an unreliable service may be dishonest and doesn’t guarantee that you’ll get a quality paper. Here are some absolutely free sources for students who need help with writing an essay. Turn to the Internet for help with writing your essay! 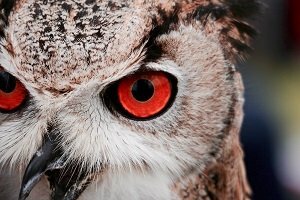 There are OWLs (online writing labs) sponsored and maintained by many colleges. These OWLs are available to anyone – even students who do not attend that college. Perhaps the best known free essay helper on the internet is Purdue Online Writing Lab. This site covers four different types of essays, as well as guidelines concerning the cohesiveness of the completed product. Here you can learn how to sound logically and how to write concisely. The Online Writing Lab at Excelsior College covers similar topics. It also stresses upon the issue how important it is to follow the writing process and outlines those steps in detail so that even a student, who has never dealt with an essay on his or her own, can follow along. Guide to Grammar and Writing is a website which covers pretty much information about writing, from basic grammar to essay and research writing. This site is an interactive tool that teaches principles and then quizzes you on the concepts. While it may not help you write your paper, it’s a great way to review the material you may not have understood in class. Crafting The Personal Essay: A Guide for Writing and Publishing Creative Non-Fiction is an excellent book for helping students with personal essays – one of the hardest kind of writing because students often confuse ‘personal’ with ‘casual.’ This book will help you maintain a formal style, while writing on a personal topic. Another excellent book source, also free with Kindle Unlimited, is How to Write an Essay in Five Easy Steps. The book gives students five simple steps to follow, no matter what the topic or type of essay is. It even covers the issue how to document sources properly. They don’t know whom to ask: Your teacher, of course! He or she is the best free resource you have! They are afraid to disturb the teacher: On the contrary, teachers love to know that their students take care enough over the assignment, and they will almost always be willing and able to help! As you can see there is no reason to fall apart and to suffer from the depression as you have no idea what to write about, or you do not know how to organize your writing correctly to gain the highest score. Refer to these sources for help and you will do best even easier than you have thought it is going to be.